There is a steep upward proliferation of videos on the internet. They are seen mostly in social media like Facebook, Instagram, and YouTube. Wedding videos, travel vlogs, marketing ads, tutorials, testimonials, food ads – name it and there’s probably a video of it. There are people producing these videos – whether professionally or just as a hobby. If you want to learn to become a professional videographer or learn how to produce better video content where do you go? SHOOT! Practical Videography School answers that need. Founder EJ Mijares saw the need to uplift the quality of videos produced by professionals, semi-professionals and amateurs. They are the wedding videographers – the average dads who film their family vacations with action cams, the bank manager who sidelines filming events on weekends, the social media teams who are tasked to produce and upload marketing videos in facebook, and the NGO staff who is assigned to film and edit their events. From those first 3 courses, they ballooned to 11. Today, SHOOT! School boasts of more than 600 graduates. You don’t need to set aside years nor even months to go learn the basic and advanced videography. The courses range from 2-4 days depending on your chosen topics. In 2017, they started partnering with local videographers in organizing provincial courses. 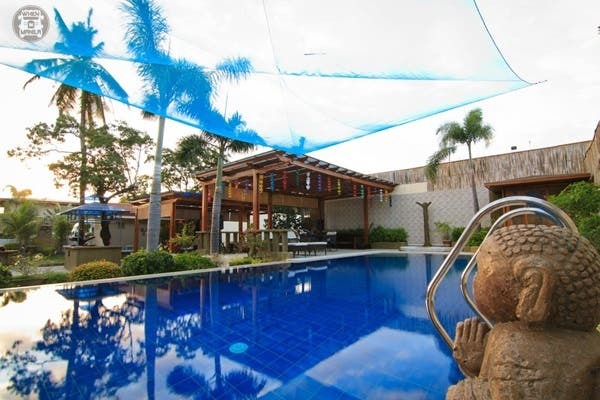 The mentors traveled to ViganIlocos Sur, Isabela, Butuan in Mindanao, and Lucena, Quezon. SHOOT! School also offers customized videography training for organizations who have very specific needs. On December 13, 2018, SHOOT! School will celebrate their 4th anniversary by holding WIDE SHOT, a Learning Event for Film and Video Creators. 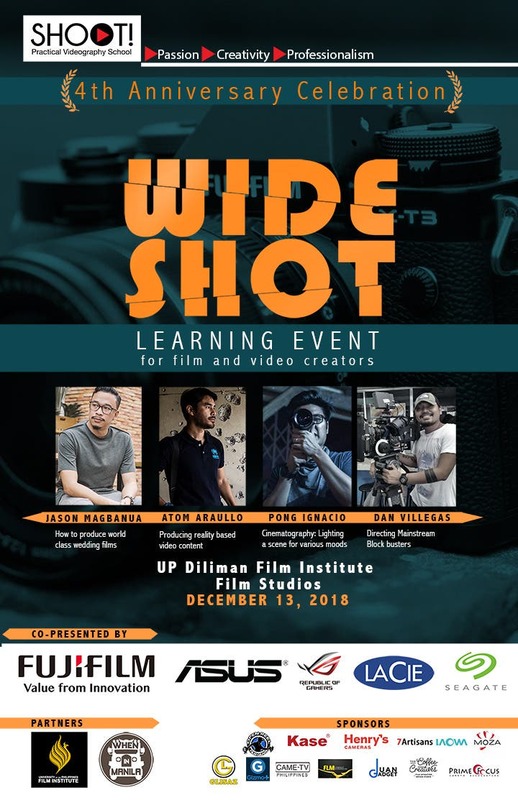 It is a one-day masterclass with mentors Jason Magbanua, Atom Araullo, Pong Ignacio (Heneral Luna, Goyo) and Dan Villegas (Excess Baggage, English Only Please). This event is designed to inspire the video creators. 200 participants are set to attend. Who knows? One of them might be the future director of the next Philippine cinema classic. Shoot! Practical Videography School: Let Your Video-Making Dreams Come True!